From classes to item rentals to digital databases, it’s not all about reading at your local library anymore. The Hillary Rodham Clinton Children's Library & Learning Center offers educational spaces for kids to explore and experiment in — whether they are interested in nature, the arts, technology or even cooking. While it’s easy to only associate the library with shelves stacked full of books, libraries in central Arkansas actually have much more to offer. From classes to item rentals to digital databases, it’s not all about reading at your local library anymore. 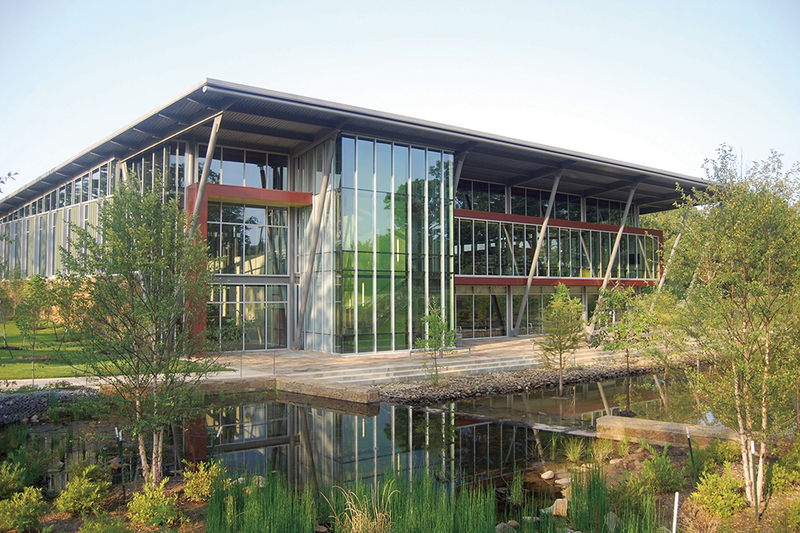 The Central Arkansas Library System, which has 13 branches in addition to the Main Library, boasts a wide range of spaces that visitors can utilize as well as many educational programs and other perks for cardholders. The Hillary Rodham Clinton Children’s Library & Learning Center in particular offers dozens of unique, youth-specific programs. And the best part? Most offerings at your local library are completely free! So take a look at these ways to get the most use out of your library card. Oftentimes it’s easier and more practical to borrow than to buy. Whether for recreational or educational purposes, here are several items you can try out, courtesy of your local library. Musical Instruments: A full drum kit, bongos, congas, electric bass, electric guitar, amplifiers, cello, viola, violin, trombone, trumpet and cornet are all available to borrow from the Children’s Library. The instruments are available for 28-day loans and a parent or guardian must sign the loan agreement for any borrower under 15. Telescopes: The telescopes are 4.5-inch Orion StarBlast Newtonian instruments that magnify up to 56 times. They are particularly suited to observing the moon and the brighter planets, such as Saturn and Jupiter, and, under proper conditions, “deep sky” objects, such as star clusters. All patrons need is a library card to check out the materials, but there is an additional form that must be completed to leave with the telescope. The info about the program and a copy of the form are available at CALS.org. Fishing Poles: Fishing poles are available to loan from all of the CALS branches, although there are limited quantities. Make sure any fishermen in your party ages 16 and up have a fishing license before heading to the lake. Information on the licenses is available from the Arkansas Game & Fish Commission. It’s time to wipe away the notion that the library is all about quiet learning. These spaces, all located in Children’s Library, encourage dialogue, exploration and growth. Makerspace: This area is always open for STEM exploration kids can create crafts and work on mechanical things during library hours. Garden and Greenhouse: If space at home is tight, this is a perfect way to learn about plants’ life cycles and how they grow. The library provides space for patrons to grown personal plants, but patrons are responsible for labeling and caring for the plants. The garden and greenhouse are always open for tours when the library is open and walking paths offer a great place for exercise while learning the names of trees and plants. Recording Studio and Theater: The library’s recording studio and theater are available for nonprofit organizations and groups to use. According to Tameka Lee, assistant director of marketing & resource development for CALS, if the organization is using the theater during high-traffic times their programs are generally available for the public to attend at no cost. In the 165-seat theater, children can experience all aspects of theater, including set design and building, writing plays, acting, and costume design. Telling your kids they’re going to class outside of school hours might not go over well at first, but the programs at the Children’s Library are certain to capture their attention and entertain them more than the average math lesson. Here are some on the lineup this month. Garden Club: Every Monday in October from 3:30-4:30 p.m., join gardeners Thomas and Drew in the greenhouse to learn how to grow and maintain your own garden. This program is open to all ages. M&M Math Lab: Kids ages 6-12 can learn or strengthen skills in addition, subtraction, multiplication, division, graphing, sorting, probability and more. Limited space for this class on Oct. 27 at 1 p.m.
Ukulele for Beginners: Learn how to play a tune on Hawaii's favorite little guitar! No experience necessary in this class for students ages 13-18. Meets Oct. 4, 18 and 25 from 4-5 p.m. Trick or Treat: Kids ages 6-10 can hang out in the kitchen and try foods in unexpected ways, like spinach on pizza, or tofu in tacos. The class meets every Tuesday in October from 3:30-4:30 p.m. This is only a taste of the programs available at the library; for a complete list visit CALS.org or contact the Children’s Library at 501-978-3870.